Chateau D'Yquem Sauternes Tasting back to the 1961 Vintage for Valentines Thursday February 14th and all the Sauternes in the store! And I am trying to have at least 8 different wines every night with my dinner at the Wine Bar! 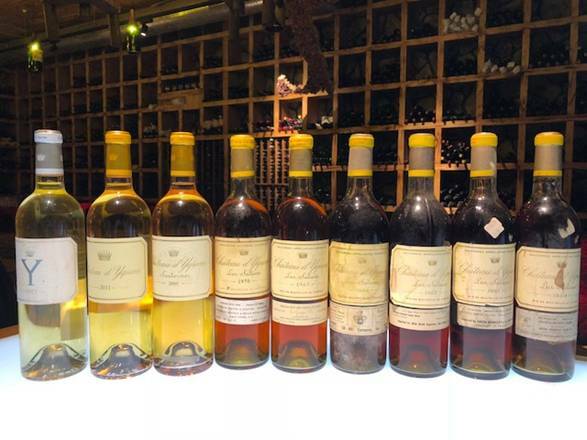 Our Chateau D’Yquem tasting has become an annual event on Valentine’s Day and this year we are going all the way back to the 1961 vintage including great vintages like; 1962, 1966, 1970, 1983, 2007, 2011 and more. We have some incredible vintages on the table this evening and the price of admission is less than the price of any single bottle of D’yquem on this offering and this includes a five course tasting menu!! The wines of Sauternes and the neighboring district of Barsac were, up until recently, called the "dinosaurs of Bordeaux." This reference to the majestical creatures that once roamed and ruled the earth is somehow appropriate. These luscious, decadently rich sweet wines are the world's most exotic and at one time were the world's most expensive and most desired. 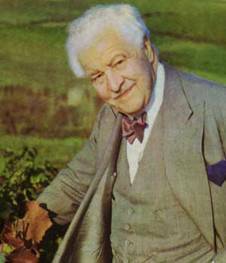 After the Second World War, staggering costs and slackening demand threatened the vignerons with extinction of the prized nectar. Then in the 1980's the pendulum at last begun to swing the other way; and beginning with the great 1983 vintage (the best since 1976 and 1967), there was a renewed interest and demand for this great wine. This has sparked an unfortunate increase in prices, -The Wine Spectator reported in the fall of 1990 that wine merchants and collectors were lining up to pay as much as $230 a bottle for the first release of the 1986 Château d'Yquem. The auction market for these wines also began to heat up - older, prized vintages of Château d'Yquem began to double in price. In 2016 at Hedonism the exclusive Mayfair fine wine merchant, sold a rare 1811 Château d'Yquem (from the famed comet vintage) sold for an astronomical £78,105 in 2016 which is over $100,000 dollars!! The unusually erratic weather conditions obviously had an influence on the vines, and flowering was long and drawn out due to the rain. The dry, warm weather in August nevertheless evened out ripening.